Whatever the function, our focus is always on providing an elegant experience. We cordially invite you and your guests to Gleneagles in Twinsburg to join us in a modern rustic space that looks like no other in Northeast, Ohio. 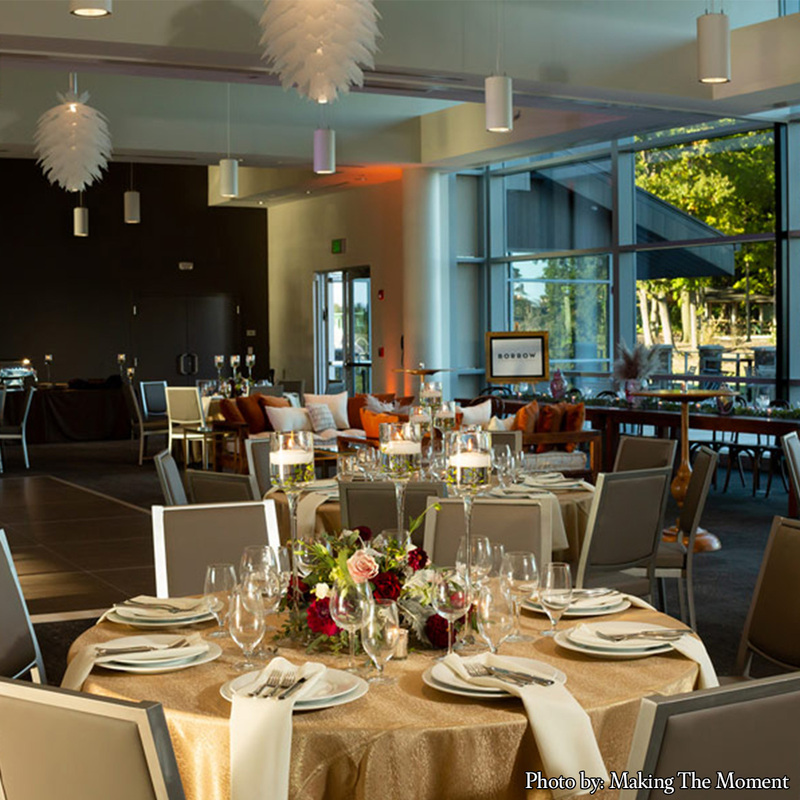 A newly constructed banquet facility seated on the grounds of a sprawling, beautifully wooded golf course, Gleneagles is the perfect, full-featured setting for your next wedding or corporate event. Allow us to carefully orchestrate every single detail of your event—exactly as you’ve imagined it. Using our beautiful facility as the backdrop, we work with you on the precious finesse of designing an unforgettable event. Our banquet club is the perfect backdrop for an upscale wedding or corporate conference. Whether your event has 25 people or 250, we offer convenient parking, indoor and outdoor reception seating, a dance floor, catering—even ceremony accommodations. Whatever the purpose, we envision your event as a note-for-note harmony of your requirements matched with impeccable service, atmosphere and accommodations. We believe you deserve to have your event come to life just as you see it, and we’re here to set the stage.